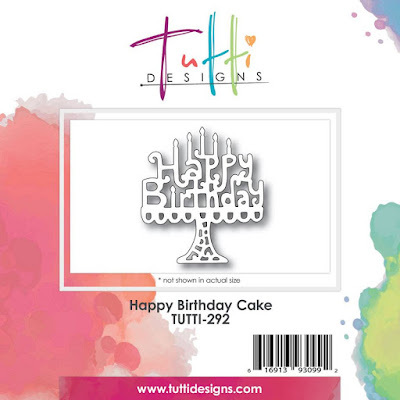 Tutti Designs: Happy Birthday Cake Birthday Card! Hi friends! 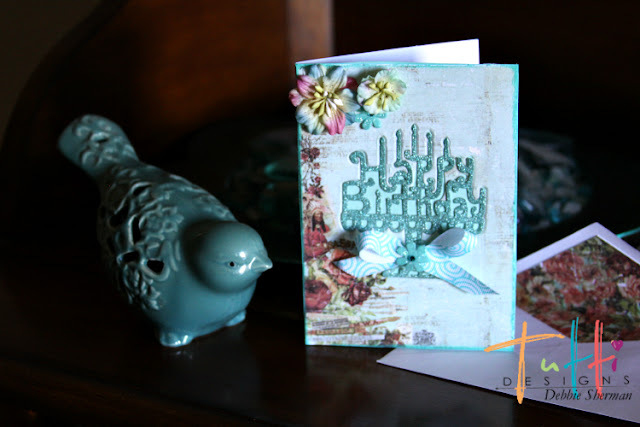 Debbie with you today sharing a birthday card using dies by Tutti Designs Dies! Tutti Designs has been busy creating away so many fabulous new dies so be sure to stop by the store and check out all the new releases! 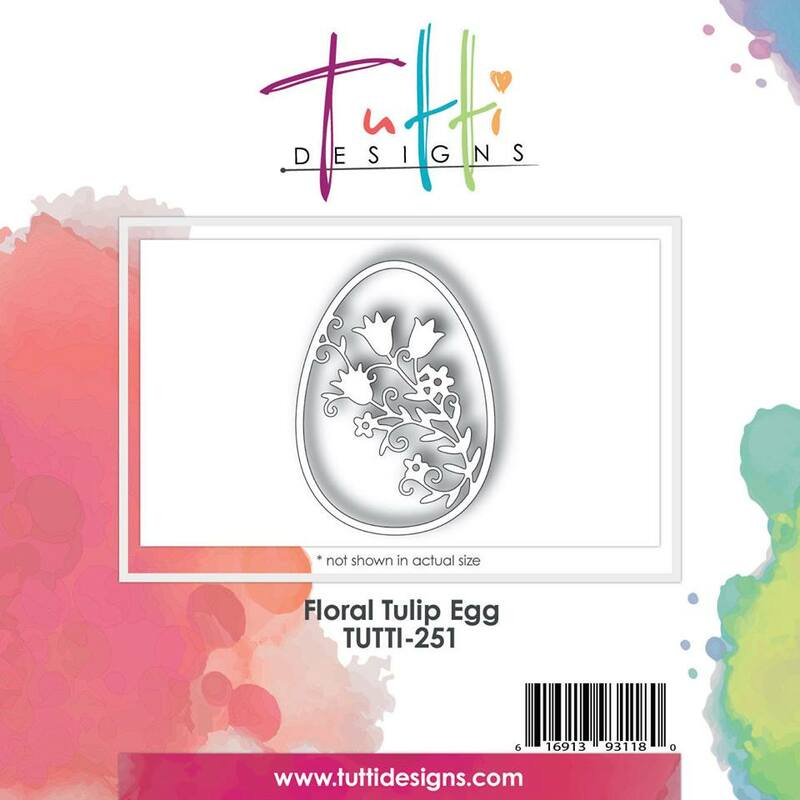 Easter is right around the corner and Tutti Designs has some of the best Easter dies around so be sure to check them out in the store! I inlaid the die cut using the following technique. Step one was to adhere patterned paper to an A2 card front. Next position your die on the center of the front of your card. Be sure to tape it down so it won't move while cutting. Open the card and run it through your die cutting machine. You will now have another die cut of the patterned paper that was adhered to the front of the card. Adhere a piece of cardstock to the inside of the card on the front panel of the card. Cut out die shape from coordinating glitter cardstock. 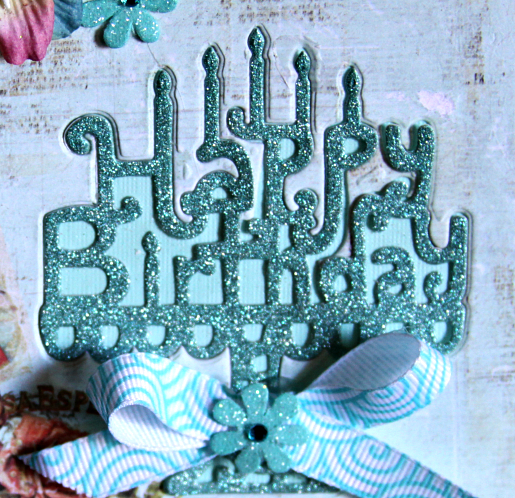 Adhere your glitter die cut to the front of the card inlaying it in the die cut you made to the card front. Adhere your flowers and bow and it's ready to write your note on the inside and drop in the mail. Just for an added touch I decorated my envelope and lined the inside. Beautiful Debbie and what a great idea! Thanks for awesome inspiration!